This boat is in average condition for the year, but with some cleaning and TLC, would be above average. The boat has not been used much in the last 3-5 years and the boat has sat inside for the last 14 years, but needs a cover. The boat is a little dirty and dusty, but will clean up nicely. The gelcoat is slightly faded, but will wax up nicely. There are some scratches you can see in the pictures, and the gelcoat is chipped off in one picture, but should not leak. The outside really just needs a bath and a wax and it will look above average. The cabin area is pretty nice. The fabric on the seats is blue velour and it looks good. The carpet needs to be cleaned. The cockpit area is average, with only a couple of rips in the vinyl. The dashboard needs attention as the wood veneer has peeled and looks poor. The Trailer looks to need some work if hauling on the highway. The brakes are not working and the tires are showing some age. There is surface rust on the trailer, but nothing bad. The trailer would be fine with new tires and brakes fixed. 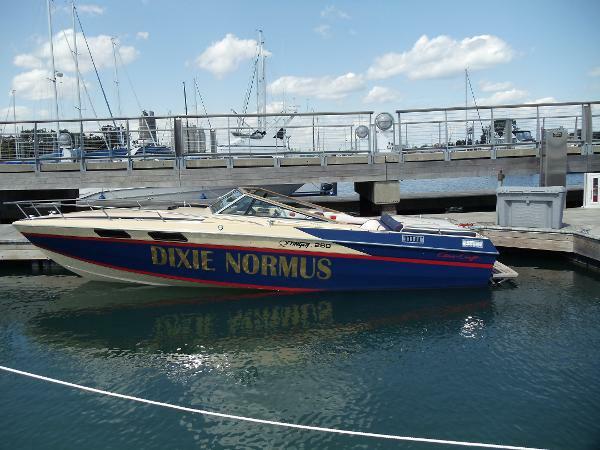 The information and pictures of this boat has been provided by the owner of the boat. This vessel has not been viewed or inspected by a representative of POP Yachts. To the best of our knowledge and with the approval of the owner the information and pictures in this ad properly represents the boat. 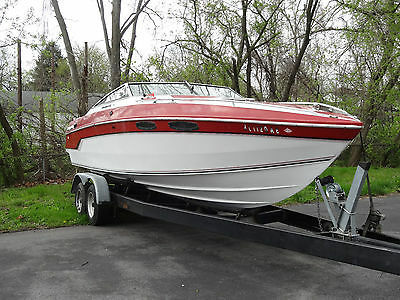 Stock #062728 If you are in the market for a high performance boat, look no further than this 1983 Chris-Craft 260 Stinger, just reduced to $12,500 (offers encouraged). 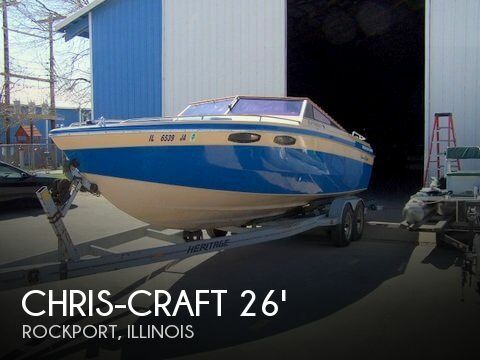 This boat is located in Rockport, Illinois and is in decent condition. She is also equipped with twin Mercruiser engines that have only 30 hours.